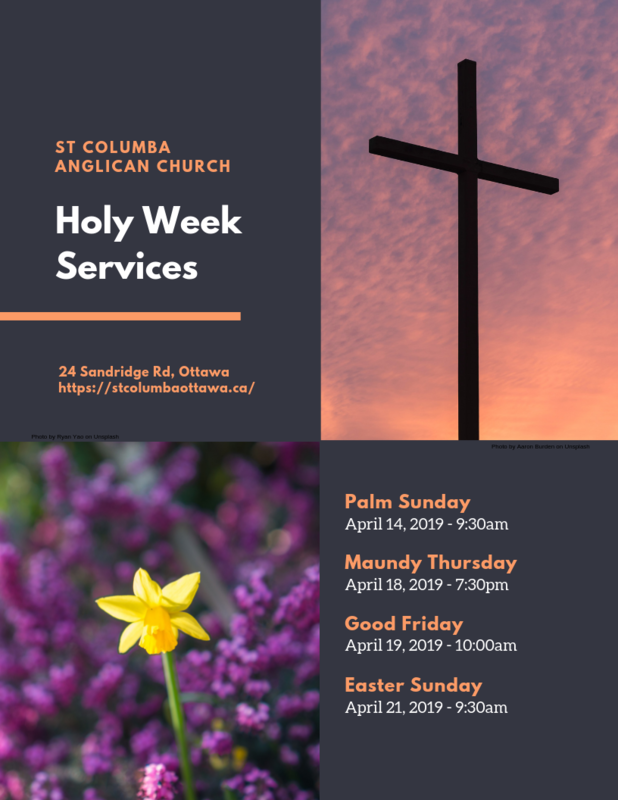 Palm Sunday, April 14, 2019 - 9:30am. Maundy Thursday, April 18, 2019 - 7:30pm. Good Friday, April 19, 2019 - 10:00am. Easter Sunday, April 21, 2019 - 9:30am.